If you are allergic to peanuts, you may have heard that you should avoid other legumes. What should you do? Having a peanut allergy is already challenging enough. Do you really need to determine if the food you eat may contain all other legumes in addition to peanuts? In order to understand this question, it's important to talk about peanuts and similar foods. Peanuts are a legume similar to other legumes which grow underground such as soybeans, lentils, peas, and beans. They are different than tree nuts, such as cashews, almonds, and walnuts which grow on trees. Intuitively you would think that other legumes should be avoided but tree nuts should be okay, but this is false. While have a co-existing allergy to another legume is similar to the risk of having any type of food allergy along with a peanut allergy, roughly 25 to 40 percent of people with peanut allergy also have a tree nut allergy. Most common are allergies to hazelnuts and almonds. If you are wondering whether you need to avoid other legumes with peanut allergy, the answer is "maybe, but no less than you worry about any coexisting food allergies." In fact, most people with peanut allergy are able to eat other legumes without a problem (with the exception of lupine). Then why are so many people told to avoid legumes? The answer is cross-sensitization. Allergy tests often show a positive result to more than one legume. This is a result of cross-sensitization, meaning that the similar proteins found in legumes bind to the same allergic antibodies directed against peanut proteins. The one exception to the above rule is for lupin. Lupin is a legume commonly ground into flour or eaten whole in European countries. There appears to be a high level of cross-reactivity between peanuts and legumes, since up to 50 percent of people with peanut allergy experience allergic reactions after eating lupine. Some recent studies suggest this number may be less, but what is true is that lupin is becoming much more of a problem for those with food allergies. It's uncommon to find lupine in the grocery store in the U.S., but it is fairly common in some European countries. Those who live outside the U.S. or who travel to Europe should keep this in mind. Apparently, the use of lupine (for example, as a substitute for wheat) is becoming more common in the U.S. as well, especially in packaged foods. What Should You Do About Legumes If You're Allergic to Peanuts? If you are told that you have positive allergy tests to multiple legumes, you should check with your doctor before eating any of these foods. While cross-reactivity rates among legumes are low, your doctor will likely perform an oral food challenge to the legume that you are interested in eating to ensure that you are not allergic. In an oral food challenge, you eat the questionable food, but with medical supervision. Unfortunately, there is not a reliable way to answer this question with a simple blood test or scratch test. Peanut allergy has increased drastically over the past decade and now affects one to two percent of the population. Since this phenomena is occurring in the United States and other developed countries but is not seen in many places in the world, the way in which peanuts are processed may underlie some of this increase. 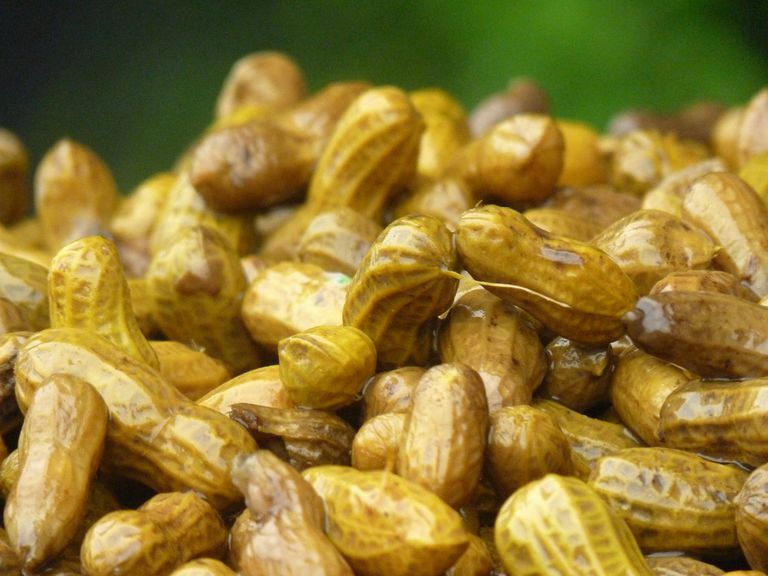 Going with that concept, recent studies looking at boiled peanuts may offer an approach to overcoming the allergy according to some researchers. Certainly, you don't want to try this without close supervision by your physician, but this research offers hope that breakthroughs in the management of peanut allergy may be nearing. Until then, avoiding peanuts (and other foods which your allergist feels could be dangerous, (including, at times, legumes), is the only surefire approach to escape the serious reactions and even anaphylaxis which may occur with these allergies. Take a moment to review the peanut allergy diet guide to make sure there aren't any hidden peanut proteins in the foods you eat. Bublin, M., and H. Breiteneder. Cross-Reactivity of Peanut Allergens. Current Allergy and Asthma Reports. 2014. 14(4):426. Mennini, M., Dahdah, L., Mazzina, O., and A. Fiocchi. Lupin and Other Potentially Cross-Reactive Allergens in Peanut Allergy. Current Allergy and Asthma Reports. 2016. 16(12):84. Shaw, J., Roberts, G., Grimshaw, K., White, S., and J. Hourihane. Lupin Allergy in Peanut-Allergic Children and Teenagers. Allergy. 2008. 63(3):370-3.